Held over! My show at Provence Breads in Hillsboro Village! My show at Provence Breads in HillsboroVillage. 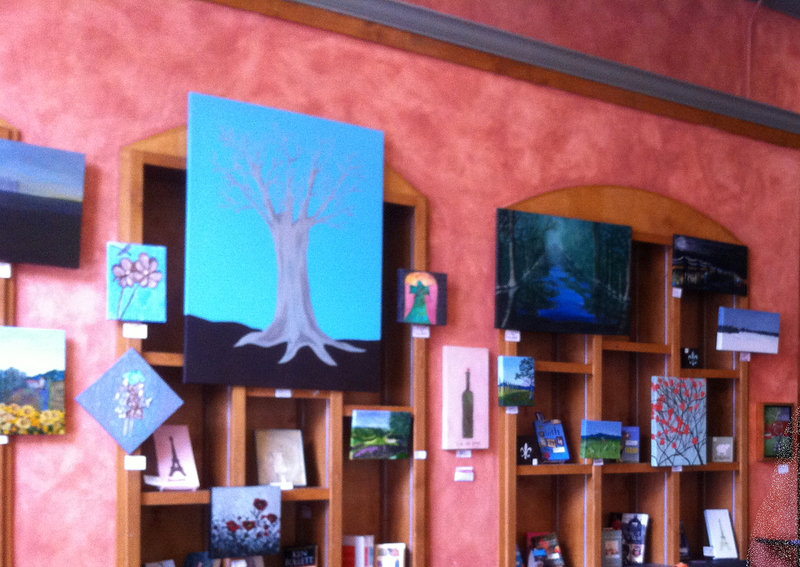 Come by during the Hillsboro Village Art Crawl (read about it here) Thurs. April 5, 5-8 pm. I’ll be there, along with a great live band and sample foods from Provence. It’s a great relaxed evening of fun, entertainment, art and food packed into a few blocks on 21st Avenue in one of Nashville’s coolest hoods! I didn’t catch the band’s name but they were really great! Hope they’re playing again this time! As an aside, if you’ve never been to Provence Breads, you really need to go. It’s like stepping across the ocean directly into a patisserie in France! Well, one offering not only fine pastries, but also artisan breads, a fabulous array of cheeses, olives, salads and more. I discovered Provence (the Nashville one) when I first moved here in the early 2000s. I was fortunate to spend my 30th Birthday on the Mediterranean at the other Provence (well, Cannes), but that’s a whole ‘nother story. What I’m getting at here is just venture your little selves into Hillsboro Village along 21st Ave near Vanderbilt. If you can make it for the First Thursday Art Walk, all the better. If you are unable to get there that night, no problem. Just get there sometime! This entry was posted in Art Crawl, Art show and tagged Village Art Crawl. Bookmark the permalink.